Dr. Nicholas Terry is an award-winning percussionist and educator specializing in contemporary classical chamber music in Los Angeles, CA. Since 2005, he has received critical acclaim from the Recording Academy (winner in the 57th Grammy Awards, official nominee in the 55th Grammy Awards), Percussive Arts Society (invited performer for the 2013, 2016, 2017, 2018 International Conventions), iTunes (2014 Best of Classical Music), and National Public Radio (2017’s Top 10 Classical Albums). His work has been called “mesmerizing, atmospheric, and supremely melodic” by the New York Times, and “representing the next generation in the evolution of modern percussion” by conductor Pierre Boulez. In 2008, he founded the Los Angeles Percussion Quartet, praised for “championing composers of thought-provoking and uncompromisingly intelligent music” (Percussive Notes). Since 2004, he has been a member of the Grammy-winning PARTCH ensemble, a group devoted to the music of American microtonal composer Harry Partch. He has also co-founded Brightwork Newmusic (with LA pianist Aron Kallay), a Pierrot-plus sextet. Nick is a five-year alumnus of the Lucerne Festival Academy, where he apprenticed alongside members of Ensemble Intercontemporain, Pierre Boulez, Peter Eötvös, and Fritz Hauser. Terry’s notable performances include work with the Los Angeles Philharmonic’s New Music Group, Los Angeles Master Chorale, Long Beach Opera, wildUp, Steven Schick & red fish blue fish, the Industry, Eighth Blackbird, the California E.A.R. Unit, XTET, Argento Ensemble, and Da Capo Chamber Players. His numerous recorded performances have been released on Albany Records, Innova, New World, ein Klang, Bridge, HatHut, Capstone, and Sono Luminus. Terry received degrees in music performance from the University of Southern California, California Institute of the Arts, and Eastern Illinois University. Currently, he serves as Director of Percussion Studies and Associate Professor at Chapman University’s Hall-Musco Conservatory of Music, where he additionally lectures on the subjects of world music and improvisation. He is a Yamaha Performing Artist, and endorser for REMO, Black Swamp, Innovative Percussion, and Sabian Cymbals. Nancy Zeltsman is a leading marimba performer who has premiered over 130 solo and chamber marimba works—some of which are cornerstones of the literature. These include pieces by Alejandro Viñao and Paul Lansky (who wrote their first percussion works for her), Gunther Schuller, Louis Andriessen, Steven Mackey, Robert Aldridge, maestro Michael Tilson Thomas, pop legend Paul Simon, and jazz composers/pianists Lyle Mays and Carla Bley. Nancy has performed throughout the U.S. and Europe and in Mexico, Japan, and China as a soloist and chamber musician. Venues include the Tanglewood Festival of Contemporary Music, Zankel Hall at Carnegie Hall in New York, and subscription concerts with the San Francisco Symphony. 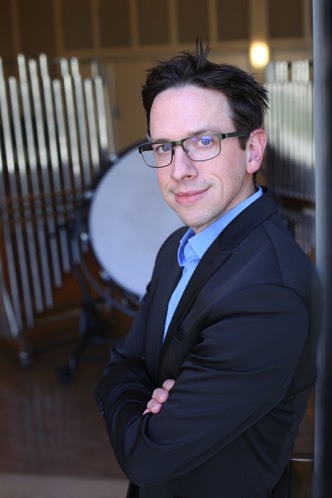 Zeltsman is a Professor at joint institutions Berklee College of Music and Boston Conservatory at Berklee and heads the Conservatory percussion department. She has taught marimba at both schools since 1993 in positions that were created for her. In the fall of 2013, she was appointed regular guest professor of marimba at Conservatorium van Amsterdam in the Netherlands. Since 2001, she has been Artistic Director of Zeltsman Marimba Festival, Inc. with the two-fold mission of musical training centered on the marimba, and bringing the marimba to concert audiences worldwide. The festival’s activities have included ZMF New Music (fostering 24 new works published as Intermediate Masterworks for Marimba) and ZMF On Tour (short festivals around the world taught by ZMF’s core faculty). These have occurred in China, Japan, Luxembourg and Boston since 2014. Nancy has recorded three solo marimba compact discs, three CDs with her marimba-violin duo Marimolin, and was featured on a disc with Boston Modern Orchestra Project (W.T. McKinley’s marimba concerto), among others. She served four times as a member of the jury for the biennial Tromp Percussion Competition in Eindhoven, the Netherlands and many other competitions. Zeltsman is a Pearl/Adams Artist who worked with Adams Musical Instruments to design their new “Alpha Z” model marimba. Her line of signature mallets is available from Encore Mallets. Nancy lives in Boston, Massachusetts. For more information, including links to videos, please visit: www.nancyzeltsman.com. Beverley Johnston is internationally recognized for her dynamic performances on marimba and percussion. Her exciting performances have been distinguished as unconventional, effectively combining classical transcriptions, contemporary music, and a touch of theatre. She has released six solo CDs and can also be heard on numerous other recordings. She has maintained an active schedule with her international travels performing at percussion festivals in the United States, Europe and Asia, including the Ivana Bilic Marimba Week in Croatia (2017), The International Katarzyna Mycka Marimba Academy in Europe (2013, 2015), the Shenyang International Percussion Festival in China (2010), The International Marimba Festival and Conference in Minneapolis, USA (2010), the Zeltsman Marimba Festival in USA (2005, 2009, 2013), Nebojsa Zivkovic’s International Marimba Academy in Germany (2008), the Percussive Arts Society International Convention (1988, 1995, 2006, 2009, 2014), the Stockholm International Percussion Event (1998) and the Journee de la Percussions in Paris, France (1999). The Banff Centre for Arts and Creativity invited her to be a faculty member in the fall of 2016. For years she has been performing at different Canadian summer music festivals including the Festival of the Sound and the Ottawa Chamber Music Festival, among others. In 2009 she was given the distinction of becoming an Ambassador of the Canadian Music Centre in honour of her exemplary commitment to the performance of Canadian composers. She was one of the hosts for the CBC radio show “This is my Music” in 2016, featured guest for percussionist Casey Cangelosi’s popular internet podcasts (2017) and has had feature articles in DRUM! Magazine (Beverley Johnston: A Champion of New, Genre-Busting Worksby David A. Brensilver) and Percussive Notes (Finding Her Voice: An Interview with Beverley Johnston by Nathan Daughtrey). She was also the subject of an hour-long documentary on CBC Television’s nationally broadcast Sunday Arts and Entertainment (1995). Her performance on this program was nominated for a GEMINI Award in the category of “Best Performance in a Performing Arts Program”. Beverley currently teaches at the University of Toronto and is a Marimba One and Paiste Artist. For more information, please visit her on Facebook and at www.beverleyjohnston.com.